If you’re going to be gathering leaves this fall, whether by raking or blowing, don’t bag them up and get rid of them. Autumn leaves are an underused—and free—natural material that can be used all around the garden. I use them now, as a source of organic matter to be added to my slow-cooking winter compost pile. Dead leaves are carbon, one of the “browns” that’s mixed with sources of nitrogen (the “greens”) such as vegetable trimmings and grass clippings, which when mixed together turn into compost. Condition your lawn. This is an easy way to get the benefit of leaves without a lot of labor. Instead of raking them off the grass, mow over them with a mulching mower with the bag taken off. You may need to run over them a couple of times. They’ll turn into tiny pieces that will break down and condition the soil. Add them to your empty vegetable beds. Turn whole leaves into the soil to decompose gradually, or run them through a shredder and use the pieces to cover the soil as an overwintering mulch which will reduce compaction and erosion from heavy rains. Mulch your ornamental beds. Shredded leaves make great mulch for ornamentals, too. This isn’t a time to use them whole, however, since they can mat down. Matted leaves keep water and air from reaching the soil. Protect container plants. One instance where I do use leaves whole is to insulate and protect the container plants that I overwinter outdoors in a sheltered entrance on the north side of my house. Once we’ve had a few frosts and the plants are fading, I lay a thick carpet of leaves on the tile, and cluster the pots close together. Then I fill in all the spaces between the pots with leaves, and dump more on top, entirely covering the pots and top growth. The area is out of the wind, but if I needed to, I would cover everything with netting or chicken wire so the leaves didn’t blow away. Make leaf mold. No, it’s not letting leaves grow moldy, but it is letting them decompose. 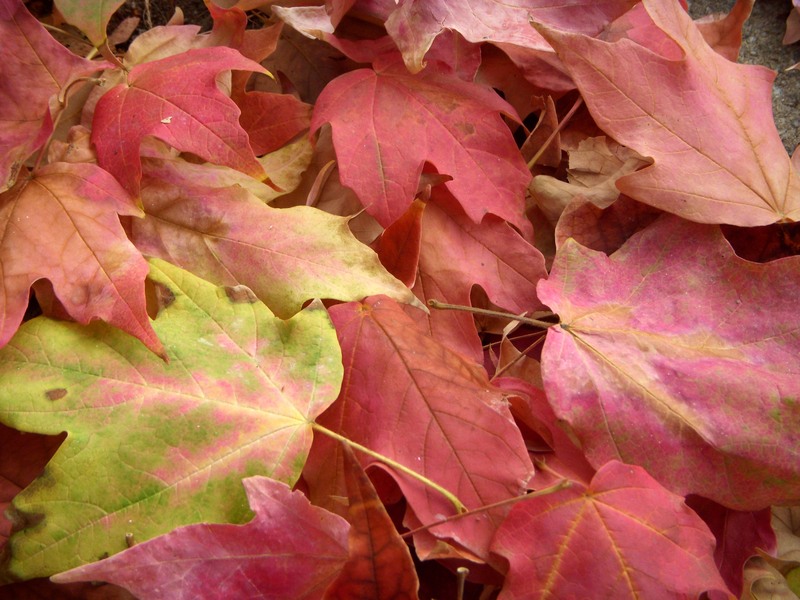 In fall, pile wet leaves three feet deep in a leaf bin and let them sit over the winter. If possible, turn them every once in awhile and keep them moist. They will gradually break down into a rich, dark substance teeming with microorganisms. This is called leaf mold (or mould, if you’re British). It’s a great soil additive. You can make a leaf bin out of a three- or four-foot circle of chicken wire. As it rots, the pile of leaves will reduce by more than half, so you may want to have more than one bin going. And just as in fall, you can use shredded leaves as mulch in the vegetable garden around transplants, or in perennial beds instead of ground bark. If you saved bags of leaves, you can add them, whole or shredded, to any new compost piles. Keep in mind that shredded leaves will break down faster than whole ones.